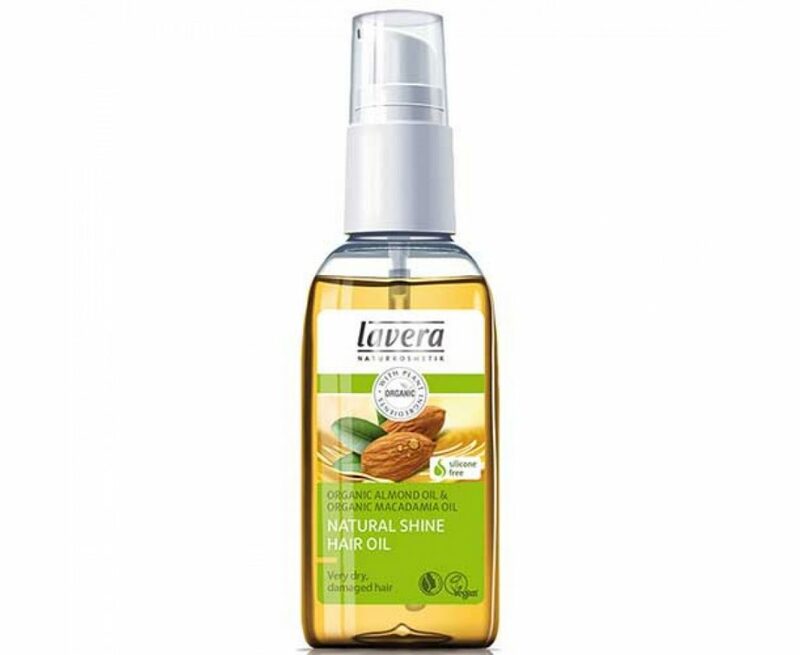 A vegan answer to the needs of damaged hair is a nurturing hair oil from Lavera. It combines natural plant ingredients derived from organic crops, which penetrate deep into the hair and improve its condition. What does Lavera hair oil contain? Why makes it so effective and natural? Lavera Naturkosmetik is a German brand established in the 80’s. Its founder has one goal – to create natural alternative to cosmetics found in drugstores. This way, Lavera has opened its first healthy food shop followed by a drugstore with organic cosmetics. That is how hair oil with almond bio-oil and macadamia bio-oil originated. The main reason why hair becomes dry and weakened, is too low amount of lipids. Such defects in the lipid structure do not come out of nowhere. Factors responsible for worsening condition are mainly: salty water, sun radiation, hot air, curling wand, straightener, etc. Fortunately, there is a remedy for those problems. Almond oil can help in regenerating damaged hair, however, it will work much better combined with other oils and natural extracts. Avocado oil is highly nourishing and stimulating hair growth. BIO oil from Lavera is a 100% natural, vegan cosmetic designer to nurture damaged hair. The two most important ingredients among the ones mentioned above are: macadamia oil and sweet almond oil. Both of them are responsible for conditioning hair that requires special treatment. Macadamia oil is one of the best absorbed oils, while almond oil improves hair condition and restores its vitality. Lavera hair oil is an example of natural recipe. Therefore, it can be applied not only over hair but also your scalp. Hair oiling with almond and soybean oil combined with other ingredients is very easy and pleasant. All you need is to apply two pumps onto the palms of your hands and rub them to warm up the product. Next, rub it into your scalp and hair. Another advantage of using this product is that it does not require rinsing.